9. 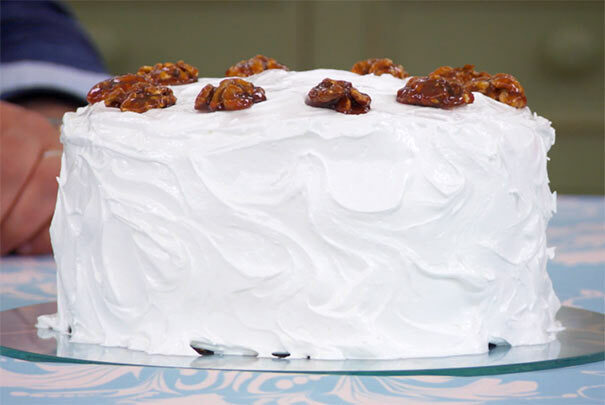 Cover the top and sides of the cake, swirling the icing to form softened peaks. Work quickly as the icing sets rapidly. Leave to set in a cool place, but not in the fridge. Decorate with the caramelised walnuts. 10. Take a photo and share your bake with the nation. Join the bake along!